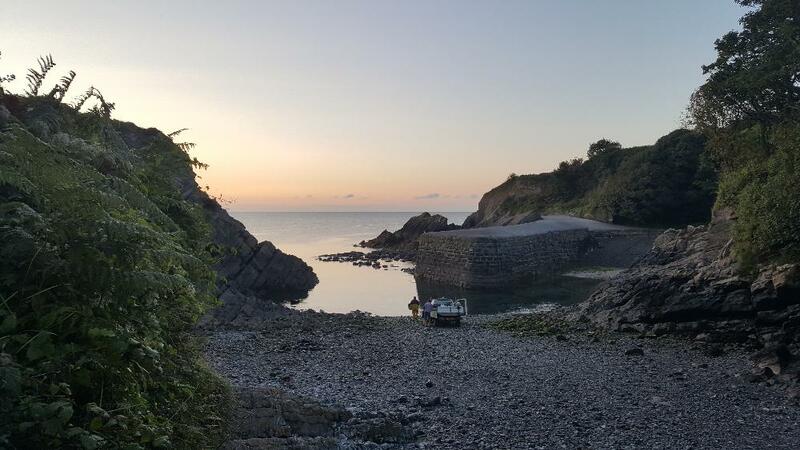 If you want to get closer to nature and learn more about the local marine life of the Welsh coast and get fit at the same time the what better way than to walk and swim? 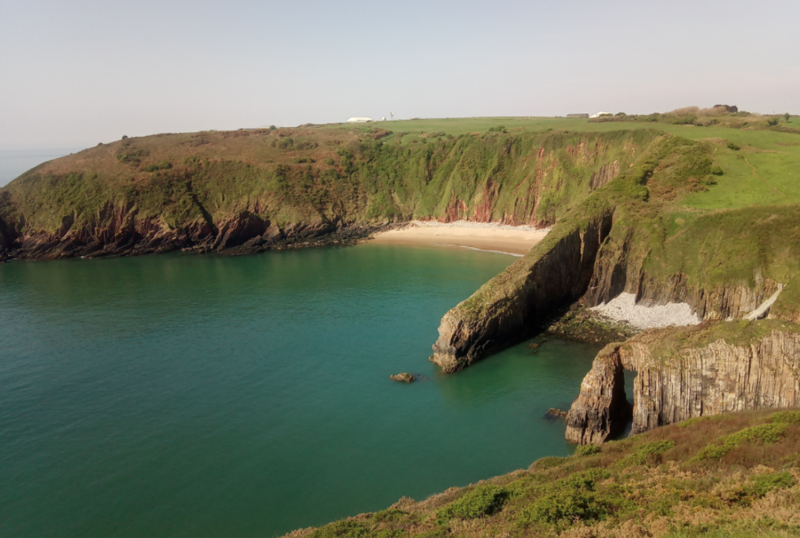 You cannot be much more immersed than walking and swimming around the stunning coastline of Pembrokeshire! If this sounds interesting then why not join one of our swim walking tours? You walk for a bit, then you swim, then walk, then swim, and so on! You carry your kit with you, on land and in water. Usually we start at point A and go along the coast to point B, however it is possible to do circular routes so we start and finish at the same location. Distances depend on how far you want to go and range from just a few km combined walking and swimming, to full day trips of 20+km. Options include walking and swimming from point A to point B along the coast. Or we can do circular routes to start and end at the same location. Distances depend on your requirements and can range from a couple of hours duration of about 5km to full day trips of 20+km. After a brief chat to find out what sort of stuff you will see, and after an assessment of your swimming level, we will suggest some sites and take you out on a nature trail with a difference! You will be swimming right in it, fins and a snorkel are optional, we can provide them if needed. Not only will you be able to see the stunning coastline from a unique perspective, you will get fit doing it and will get to see the wildlife that lives there up close and personal! You walk and swim in your wetsuit. Extra kit can be carried in a drybag. We recommend only using the triathlon style swimming suits and we also recommend wearing a pair of running shorts over the top to reduce friction on the legs when walking. It's easiest to walk and swim in your trainers, coasteering style, but it is possible to carry your trainers in the swim tow/dry bag combo, or a standard drybag, which can be easily towed behind you in the water. Lightweight running style shorts to go over wetsuit. Trainers that are comfy for walking, not hiking boot style, they should be for running and be as light as possible. Socks, calf length or ankle length are fine. Drybag / swim tow combo, or a standard drybag. High calorie treats: gels, chocolate etc. Light refreshments are optional. On the longer routes we will provide tea, fruit etc at set locations. Check out our equipment page for ideas on drybag/swim tow combinations. We also do some reviews of them in our blog kit reviews. What are the Walking Routes? The walking routes vary depending on time, swimming ability and weather. Needless to say though, they are all beautiful, spectacular walking routes and take in the full splendor of the Pembrokeshire Coast Path. Expect to see anything from starfish to small sharks known as dogfish. You may get to see a seal when they're around (normally late August to October), you may even see a dolphin. Here we came across a cheeky spider crab walking along the bottom of Broadhaven South Bay at about 3 metres depth. And there are always the obligatory barrel jellyfish, once you get used to them they are actually amazing creatures. 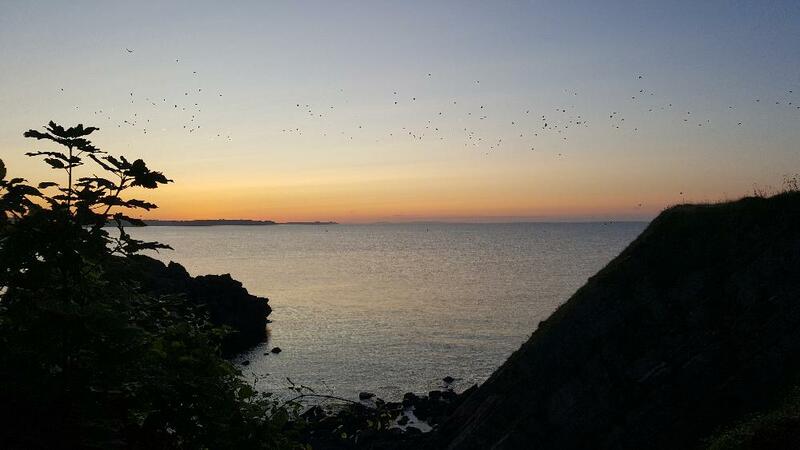 You will also get to see a lot of sea birds as you will be walking and swimming the whole way. 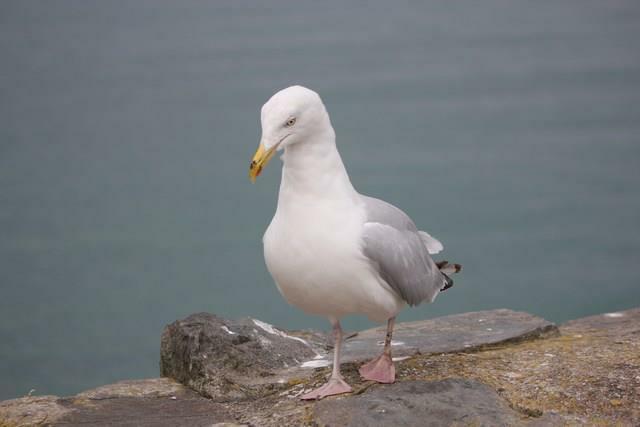 For example, gulls, cormorants, gannets, razorbills. Obviously we cannot guarantee that animals will be in a certain place at a certain time but we will stop and point out wildlife when we see it. Of course, we have a pretty good idea of the best places to see certain wildlife and coastal scenery but if you have a specific preference in mind then we will tailor our tours to your needs and swimming ability. For more informatrion, contact us here.